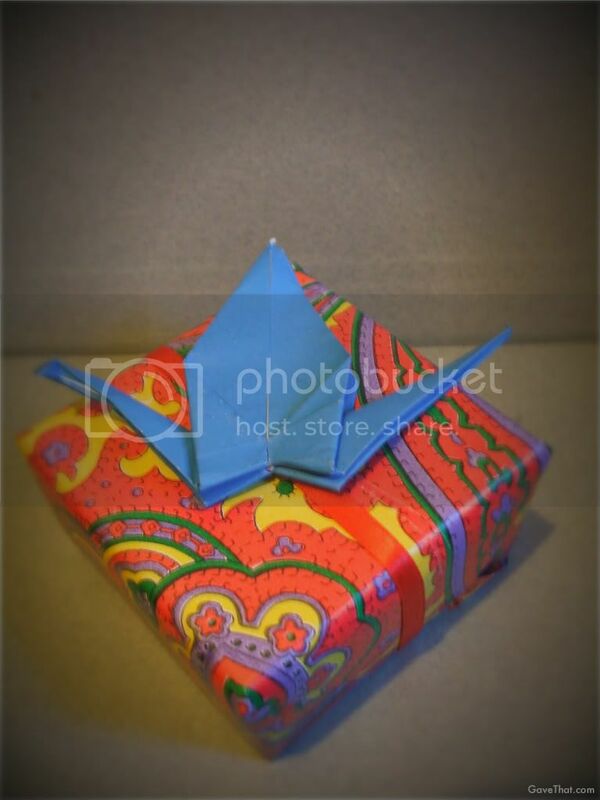 After the cherry blossom gift look, the other inspirational take on gift wrap by Ayomi Yoshida was using origami paper cranes. Sold in packages of two I have to admit not knowing exactly how to affix them. Were they to be placed where a bow should be or were they a replacement for a gift tag? Should the wings be folded up or down, one crane or two? It also dawned on me there is probably no machine to make paper cranes... they all must have been handmade. 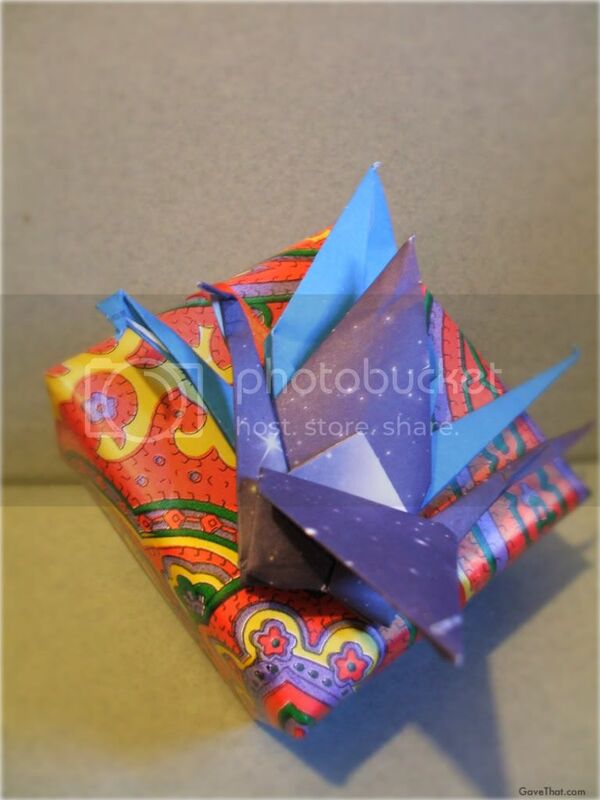 For how to fold paper cranes see here. >> For more gift wrap style looks see my wrapping page here!